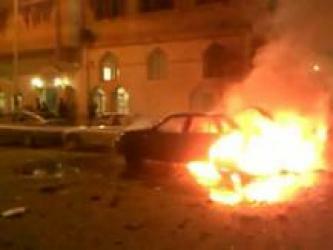 At midnight on New Year's Eve, twenty-one congregants at the Saints Church in Alexandria, Egypt, were killed in what was reported to be a suicide bombing. 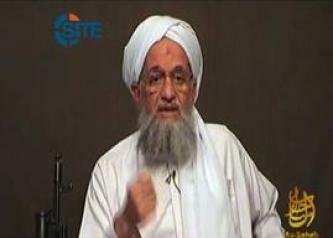 Ayman al-Zawahiri, the second in command of al-Qaeda, urged Muslims to avenge the sentencing of Aafia Siddique in an audio speech released on jihadist forums on November 4, 2010. 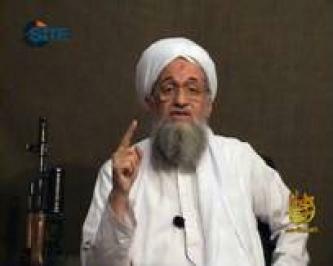 Ayman al-Zawahiri, the second in command of al-Qaeda, delivered an audio speech on the occasion of the ninth anniversary of the 9/11 attacks, urging Muslims to embrace jihad and to avoid compromising Islamic principles. 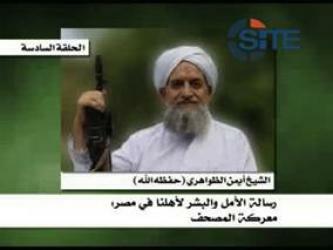 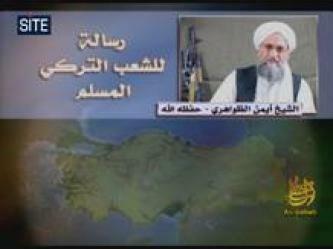 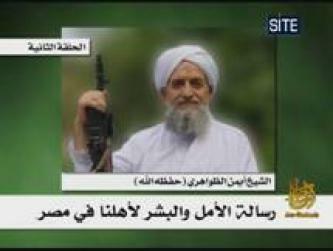 Ayman al-Zawahiri addressed an audio speech to Turkish Muslims in an video released on jihadist forums on August 14, 2010. 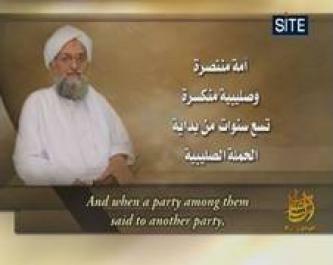 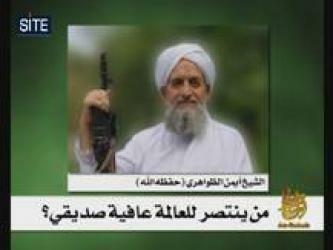 Ayman al-Zawahiri, the second in command of al-Qaeda, eulogized Mustafa Abu al-Yazid in an audio speech released on jihadist forums on July 26, 2010. 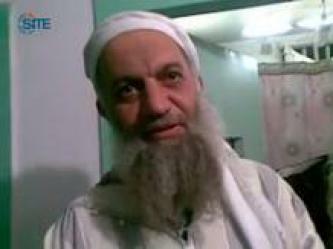 Ayman al-Zawahiri, the second in command of al-Qaeda, condemned Arab leaders as “Arab Zionists” who support Israel against besieged Palestinians, and incited Muslims to oust them from power in audio speech released on jihadist forums on July 19, 2010. 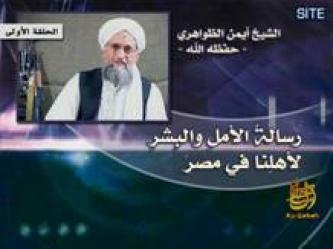 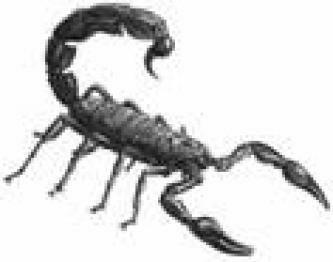 Ayman al-Zawahiri, the second in command of al-Qaeda, offered condolences for the deaths of top Islamic State of Iraq (ISI) officials in an audio message released on jihadist forums on May 24, 2010. 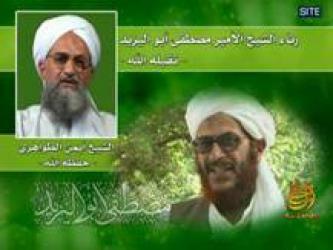 Nokhba Jihadi Media compiled a comprehensive e-book collection of the speeches and writings of al-Qaeda deputy leader Ayman al-Zawahiri, and released the collection on jihadist forums on March 26, 2010. 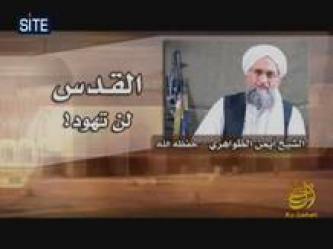 Al-Samoud Media Brigade released its first issue of a new magazine for Muslim women, titled, “The Granddaughters of Khansa,” on jihadist forums on February 9, 2010. 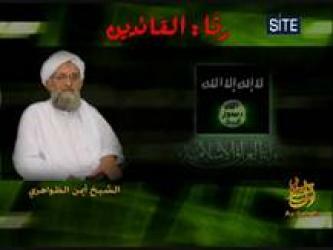 Jihadist ideologue Hani al-Sibai, director of al-Maqreze Center for Historical Studies, published his commentary of the message of Ayman al-Zawahiri’s wife, “A Message to the Muslim Sisters,” on his website and jihadist forums on December 17, 2009.